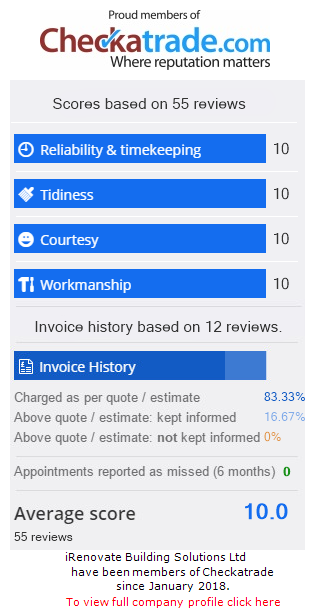 Read our recent reviews from Checkatrade and Google. Excellent work, Completed to a very high standard. All three bedrooms have had polystyrene ceiling tiles removed, new ceilings put up and all re plastered. We have had a new bannister put in and finally we have had a wall knocked down downstairs. New kitchen door and frame plus new lintel.